My paw's up & ready. Here comes one. Oops. I'll get the next one. I'm just a baby kitten in this 2011 pic. But now it's 2018 & I'm all grown up. I'm lookin' for Danica Patrick. She's fast! She's the only lady driver out there. Sunday, May 27 is Danica's last race. She retired from NASCAR & now from Indy. What's the point of tryin' to catch a car-thingie if it isn't Danica's? GO DANICA!!! 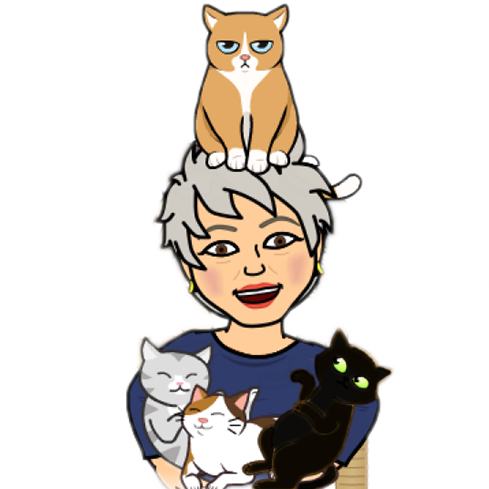 WE HOOMAN & CAT LADIES LOVE YOU!! Be sure to Google her. She's a purr-fectly bootiful, classy lady-hooman! 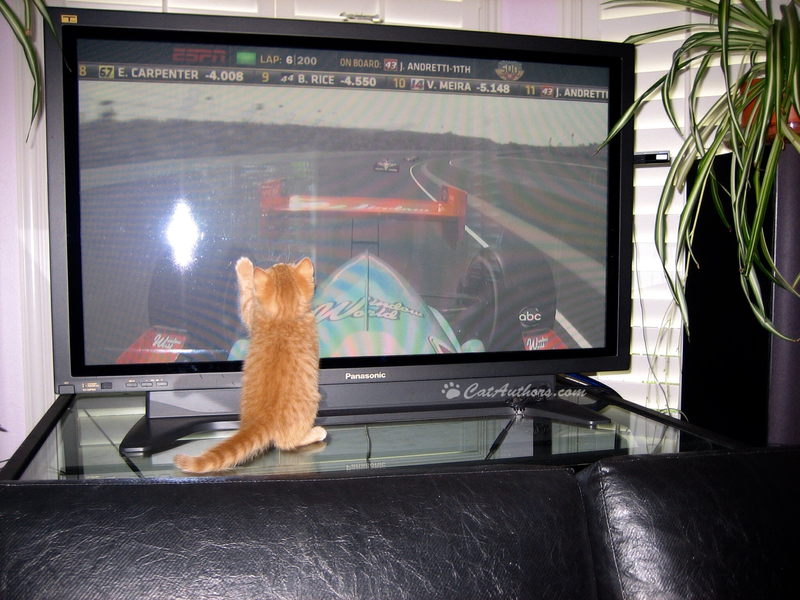 Yep, all of the Cat Authors & Meowmuh are Danica fans!